December 27, 2011 - The International Air Transport Association (IATA) expressed disappointment in last weeks decision by the Court of Justice of the European Union (CJEU) which upheld European Union (EU) plans to include international aviation in the EU emissions trading scheme (ETS) from 2012. The CJEU decision represents a European legal interpretation of EU ETS; however, the success of Europe’s plans will depend on how non-European states view its legal and political acceptability. In this respect, there is growing global opposition. Tony Tyler, IATA’s Director General and CEO said “Decision is a disappointment but not a surprise. It does not bring us any closer to a much-needed global approach to economic measures to account for aviation’s international emissions. "Unilateral, extra-territorial and market distorting initiatives such as the EU ETS are not the way forward. What is needed is a global approach agreed through the International Civil Aviation Organization (ICAO).” See U.S. House Rejects EU Emissions Trading Scheme On U.S. Aircraft. The CJEU decision was in response to a legal challenge presented by the Air Transport Association of America (now Airlines for America), a number of US airlines, IATA and the National Airlines Council for Canada. Together they argued that the EU ETS contravened the Chicago Convention which prohibits such taxation of international aviation. The CJEU ruled that the Chicago Convention does not bind the EU which is not a signatory and that the ETS does not violate any other aspect of international law. Tyler said “The CJEU decision may reflect European confidence in European plans. But that confidence is by no means shared by the outside world where opposition is growing. A formal resolution of the ICAO Council supported by 26 countries urged Europe to take a different approach. India is reported to have instructed its airlines not to comply. Similar legislation is moving through the US Congress. Other legal challenges are expected. And on 16 December the US Secretaries of State and Transportation warned that the US would be compelled to take appropriate action if Europe does not re-think its plans.” The US letter noted that at least 43 countries have publicly objected to Europe’s plans. The air transport industry has made global commitments to improve fuel efficiency by 1.5% annually to 2020, to cap net emissions from 2020 and to cut net emissions in half by 2050 (compared to 2005 levels). “A global framework for economic measures is a critical component of our strategy to achieve these challenging targets. But we won’t get agreement on a global approach if states are throwing rocks at each other because Europe wants to act extra-territorially. 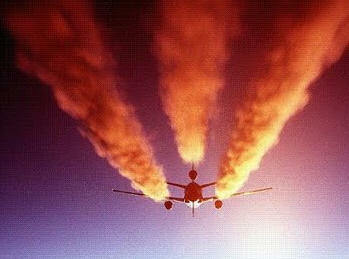 Europe should take credit for raising the issue of aviation and climate change on the global agenda. But what is needed now is for Europe to work with the rest of the world through ICAO to achieve a global solution. This decision has not changed that reality,” said Tyler. At its 37th Assembly in 2010, 15 principles were agreed through ICAO for a global framework on economic measures. A commitment to develop a framework based on these measures for agreement at the 38th ICAO Assembly in 2013 was also achieved. IATA which represents some 240 airlines comprising 84% of global air traffic estimates that the initial cost of the ETS in 2012 could be EUR900 million rising to EUR2.8 billion in 2020. This forecast is based on a carbon permit price of EUR13 per ton for 2012 (slightly below the EUR13.96 average price in 2011 for credits maturing in December 2012), rising to EUR20 in 2020. The level of auctioning for both estimates is 15%. The long-term forecast has significant probability for higher costs. For example Bloomberg New Energy Finance estimates are for a carbon permit price of EUR51.9 in 2020 which would increase the cost burden to around EUR6.9 billion. And experience in other industries has seen auctioning levels constantly increased.